Oxford, Maine - Gary Smith of Bangor had the hammer down on Saturday night, negotiating slower traffic nicely while driving from fifth starting position to victory lane in the 50-lap Super Late Model race, headlining the Budweiser Championship Series stock car racing card at Oxford Plains Speedway Saturday night. Smith, celebrating 25 years with sponsor Uncle Henry's, and the rest of the 25-car Super Late Model field spent most of the race chasing Garrett Hall. Only Smith could find his way past Hall's NAPA-sponsored ride with the young Scarborough driver earning runner-up honors. Maine and New England Hall of Fame racing legend Mike Rowe of Turner wowed his fans with an impressive third-place run in the Fowler Casco Bay Ford car. Reid Lanpher of Manchester crossed the finish line in fourth position after starting 17th. Alan Tardiff of Lyman raced with the leaders throughout the event and ended up in fifth spot as the checkered flag waved. In the 12-lap Super Late Model heat races, Lanpher, Tardiff and Oxford's Dennis Spencer, Jr. were triumphant. 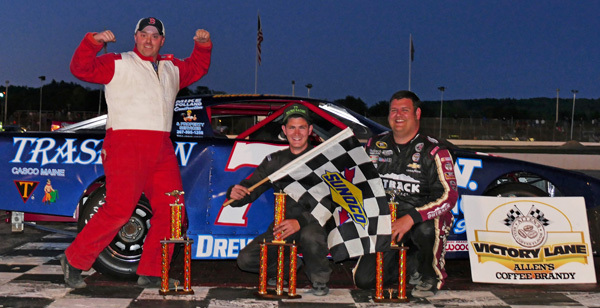 Bryce Mains of Bridgton made a spectacular, three-wide move underneath a slower, lapped car to take the lead away from West Poland's David Whittier, then went on to win the 30-lap Allen's Coffee Flavored Brandy Street Stock race. Whittier set the pace for more than half the race, with Mains unable to get by until the race-long leader was forced wide by the slower vehicle. Whittier easily hung on to second-place after Mains got by, with third-place performer Matt Dufault of Turner joining his winning Rodney Williams Racing teammate on the podium. 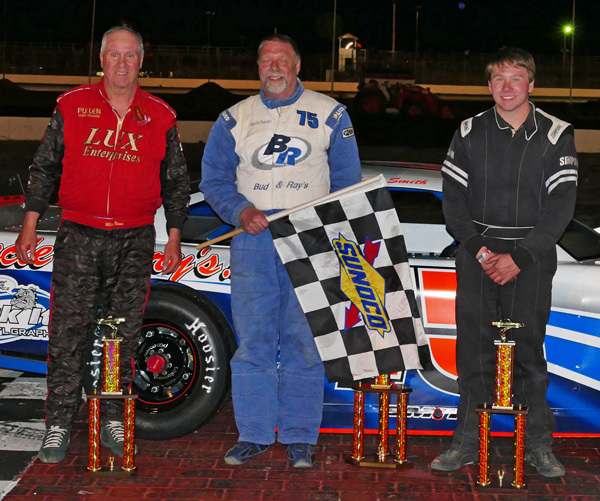 Lisbon's Richard 'Flash' Spaulding was fourth in the Street Stock 30-lapper, with the previous week's winner, Billy Childs, Jr. of Leeds rounding out the top five. Whittier and Childs scored 10-lap heat race victories earlier in the evening. Oxford's own Charlie 'Chachi' Hall dominated the 20-lap Bandits feature, getting out in front of the 25-car pack early in the race and only challenged briefly after a late-race restart en route to his first win of the season. Brian Hiscock of Turner was the best of the rest in the Bandits class Former division champion Shaun Hinkley of Oxford was the third-place finisher. Lewiston's Adam O'Neil and hard-charging Tyler Green of Turner rounded out the top five. Feature event winner Hall and Josh Knoll of Mechanic Falls won heat races earlier on the racing card. 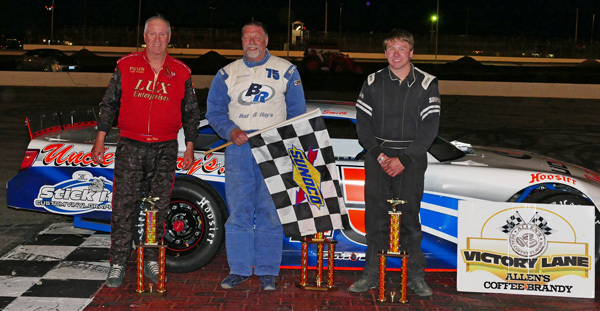 Tommy Tompkins of Carthage only led the final circuit after charging from the back of the pack, scoring his second consecutive Figure 8 triumph. Tompkins took command after Eric Hodgkins, who led the first 14 circuits in the 15-lap race, lost power steering and spun mere seconds from possible victory. Kyle Kilgore of South Paris also got by Hodgkins on the final lap to claim runner-up honors. Hodgkins claimed the third-place trophy, ahead of Minot's Dale Lawrence and local Figure 8 legend David Smith of South Paris. Next event: Saturday, May 27, 7:00 p.m. Budweiser Championship Series with Super Late Models, Street Stocks, Bandits, Figure 8 and Legends Cars divisions in action. Also next weekend: Monday, May 29, 2:00 p.m. Motor Mayhem 1 with enduro races, spectator drags and other novelty auto racing events. Oxford Plains Speedway is located at 877 Maine Street, on State Route 26 in Oxford, Maine. For more information visit oxfordplains.com or call (207) 539-8865. Maine Bureau of Highway Safety Watch for Motorcycle Night stock car racing results from Oxford Plains Speedway; Oxford, Maine; Saturday, May 20, 2017 showing finishing position, car number, driver's name, driver's hometown. Budweiser Super Late Model (50) 1 75 Gary Smith, Bangor; 5 92 Garrett Hall, Scarborough; 3 24 Mike Rowe, Turner; 4 59 Reid Lanpher, Manchester; 5 9 Alan Tardiff, Lyman; 6 71 Adam Pollvinen, Hebron; 7 01 Andy Saunders, Ellsworth; 8 24 Gunnar Rowe, Turner; 9 09 Justin Drake, Burnham; 10 60 Tim Brackett, Oxford; 11 46 Dennis Spencer, Oxofrd; 12 14 Scott McDaniel, Livermore; 13 61 TJ Brackett, Buckfield; 14 10 Kyle DeSouza, East Providence, RI; 15 9 JT Thurlow, Windham; 16 36 Ryan Robbins, Dixfield; 17 03 Scott Moore, Anson; 18 53 Alan Wilson, Hebron; 19 71 Gary Chiasson, Peru; 20 8 Calvin Rose, Jr., Turner; 21 26 Sammy Gooden, Whitefield, NH; 22 6 Travis Dunbar, Auburn; 23 44 Kyle Treadwell, Buckfield; 24 0 Shane Green, South Paris; 25 54 Ryan Deane, Winterport. PASS Mods (40 laps) 1 19 Ben Tinker, New Gloucester; 2 0 Andy Shaw, Center Conway, NH; 3 17 Scott Alexander, Glenburn; 4 64 Matty Sanborn, Windham; 5 25 Bruce Helmuth, Wales; 6 21 Mike Carignan, Lebanon; 7 33 Steven Jones, Saco; 8 12 Jim Emerson, Windham; 9 27 Dan Brown, Peru; 10 44 David Grystwicz, Standish; 11 16 Patrick Sullivan, Poland; 12 2 Randy Sanborn, West Baldwin; 13 5 Devin Curit, Saco; 14 85 Jariet Harrsion, Freeport. 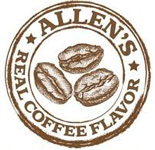 Allen's Coffee Flavored Brandy Street Stock (30 laps) 1 77 Bryce Mains, Bridgton; 2 58 David Whitter, West Poland; 3 61 Matt Dufault, Turner; 4 36 Richard Spaulding, Lisbon; 5 1 Billy Childs, Jr., Leeds; 6 4 Jordan Russell, Norway; 7 33 Andrew Breton, Greene; 8 97 Michael Haynes, Livermore Falls; 9 11 Tyler King, Livermore; 10 55 Kurt Hewins, Leeds; 11 14 Anthony Constantino, Sumner; 12 27 Patrick Thorne, Standish. Bandits (20 laps) 1 3 Charlie 'Chachi' Hall, Oxford; 2 18 Brian Hiscock, Turner; 3 2 Shaun Hinkley, Oxford; 4 14 Adam O'Neil, Lewiston; 5 26 Tyler Green, Turner; 6 95 Eric Stoddard, South Paris; 7 8 Josh Knoll, Mechanic Falls; 8 1 Brandon Varney, Auburn; 9 36 Scott Jordan, Auburn; 10 08 Michael McKinney, Berlin, NH; 11 13 Bill Grover, Waterford; 12 56 Addie McDaniel, Bridgton; 13 51 Adam Sanborn, West Paris; 14 05 Gerard Cote, Oxford; 15 24 Travis Verrill, South Paris; 16 77 Matt Crepeau, Minot; 17 39 Randy Henderson, Buckfield; 18 04 Tyler Jalbert, Auburn; 19 41 Brad Johnson, Fairfield; 20 55 Dean Jordan, Jay; 21 33 Matt Hiscock, Turner; 22 9 Josh Dube, Auburn; 23 12 Daryl Quinlan, Westbrook; 24 68 Eric Parlin, Mechanic Falls; 25 5 Jacob Hall, Oxford. Figure 8 (15 laps) 1 113 Tommy Tompkins, Carthage, 2 4 Kyle Kilgore, South Paris; 3 97 Eric Hodgkins, Mechanic Falls; 4 2 Dale Lawrence, Minot; 5 54 David Smith, South Paris; 6 41 Greg Durgin, South Paris; 7 07 Kyle Glover, Oxford; 8 27 Jon Lizotte, Lewiston; 9 40 Robert Morey, Lisbon.